Back to School | DressCodeClothing.com's Official Blog. HUF’s first Fall Delivery has arrived just in time for some last minute back to school shopping. We also got in a few pieces from the recent HUF x Blondie collaboration. Check out our video review of the collection and let us know what you’re picking up in the comments below. The new school year is right around the corner, and with that ridiculous load of homework also comes the cooler days of Fall. So with that in mind, I figured I would throw together a list of the best jackets for fall to help pull together your new snazzy back to school outfits. I will go over a few jackets for men as well as women so everyone can be looking good on their first day back to school. Check it out. It’s about time for back to school so we’re hitting you with the best new backpacks to get you ready to lug around those textbooks. 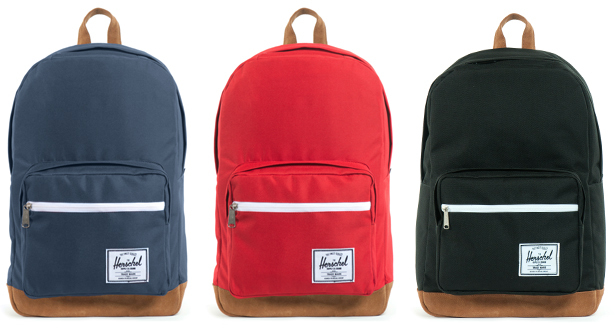 Here is a review of the “Pop Quiz” from Herschel Supply Co.
Shop the Pop Quiz here. Back to SchoolDress Code ClothingHerschel Supply Co.